This is a nice little trick that is used to produce, vanish or change: silk handkerchief's/ silk ribbons/ playing cards or similar items. 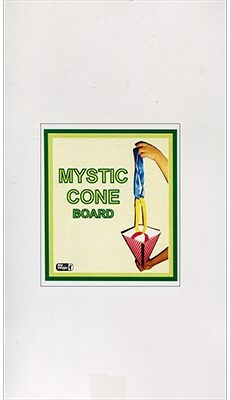 You may use this product to make an handkerchief disappear or change color by just placing it in the empty cone. Rings of ribbon may get linked or produce a good night silk handkerchief from an empty cone. There are hundreds of magical effects that can be done with this simple cone. The cone may be shown empty both before and after the performance.